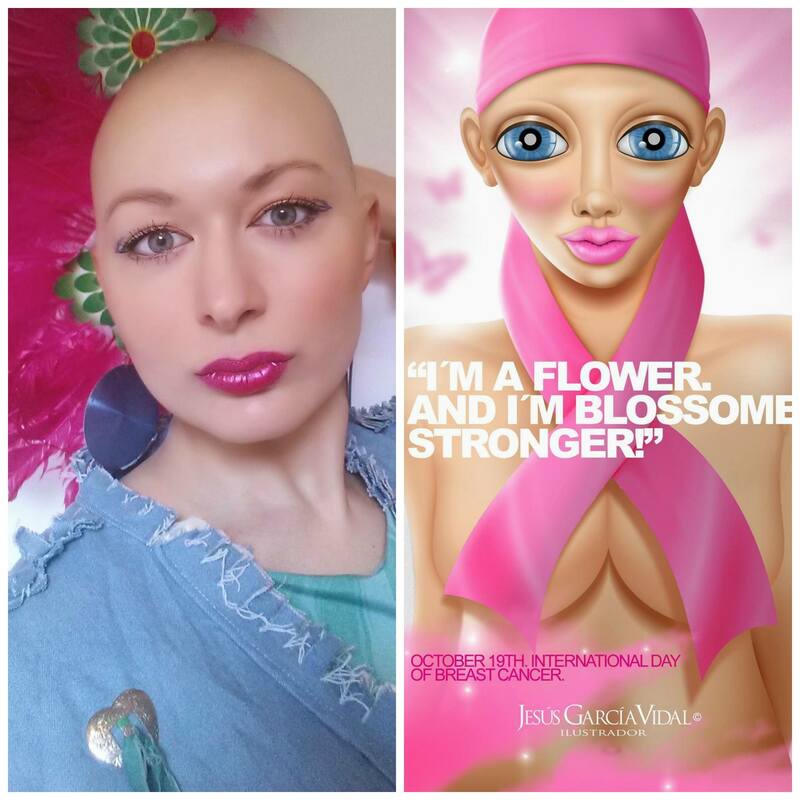 After my 5th chemo session, Jesus Vidal messaged me to tell me I look exactly like the girl in his illustration he did for Breast Cancer International Day. 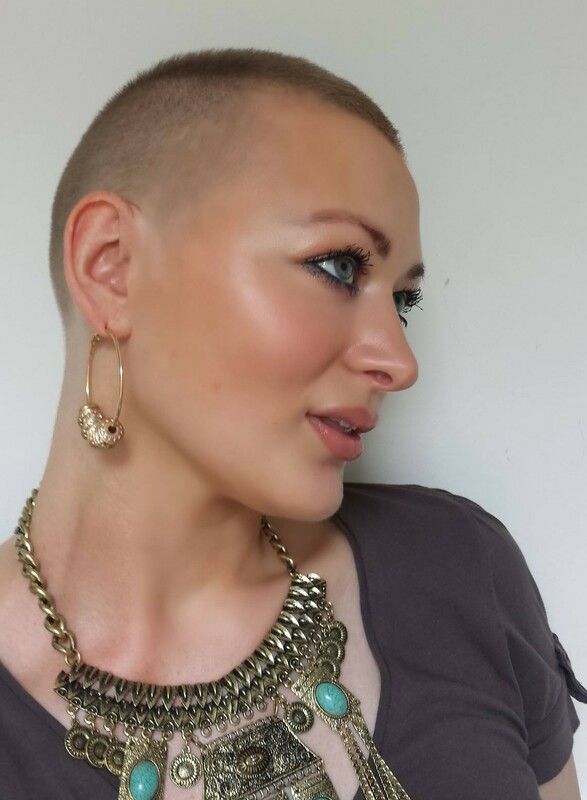 After my last chemo session on the 1st April, it took 5 weeks for my hair to slowly start sprouting again. I had been quite fond of my low maintenance routine of never having to shave my legs or under arms so it was strange to see hair making an appearance again. When I saw my first hair I had a “oh, Hello you!” moment as if I was saluting a dear old friend that popped around unexpectedly for tea. As the weeks passed, I realised that though your hair forgives you for what it has been put through, it doesn’t forget. The hair grows back in a slightly different way, and sometimes in a better way. Following my tips which are at the bottom of this page, my hair, eyelashes and eyebrows have grown back thicker and more plentiful than before. 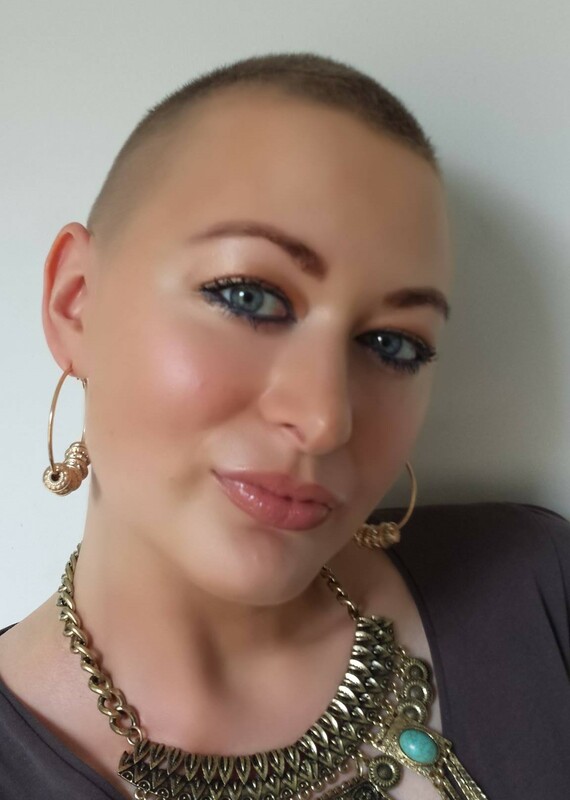 The 4 months of chemo was like winter for my hair, a sleeping beauty in hibernation until it was time for spring to give her the kiss of life again. It is quite beautiful to see a new awakening in your body as it makes you appreciate how resilient it is. No matter what you to decide to do with your day to day life, your body’s main goal is to heal itself. I am a flower and I am blossomed stronger! This is me today, 3 months after finishing chemo. My hair would be much longer, but I have been shaving it as I’m loving it short. I’m also having fun experimenting, I got blade 1 on the sides, keeping the length on top. 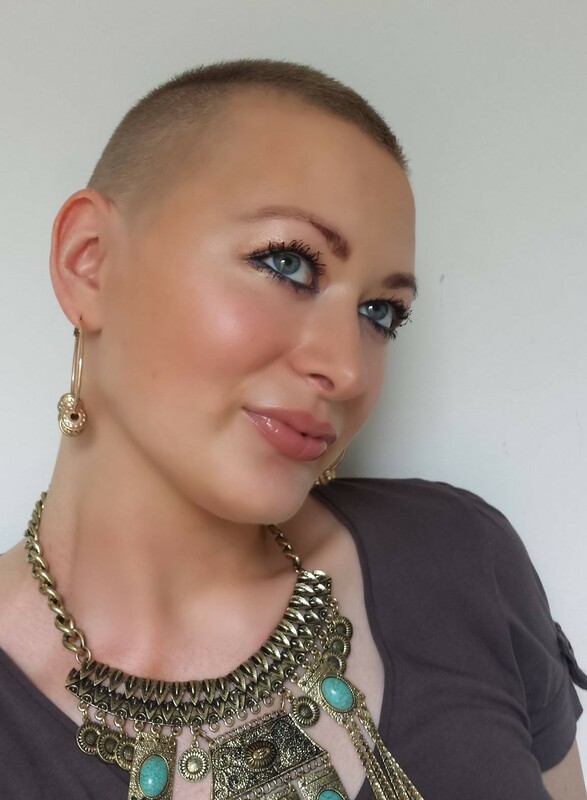 People have asked me what it was like to finish chemo and my response usually bewilders them. I was sad when it was finished. I had grown accustomed to going to the chemo ward once every three weeks for 4 months that I had become friendly with the nurses and my fellow Chemotarians. I used my 3 hour chemo sessions as my time to reflect, soul search and write. It also gives you a new perspective on time as I was more productive, setting myself goals I wanted to achieve by my next treatment. Though I was sad when my chemo sessions were drawing to an end, I didn’t realise how it would hit me until I watched my nurse cut off my hospital bracelet at the end of my last treatment saying joyfully “You’re finished!”. I felt like she just cut off a limb. I felt like I lost something. I felt empty. Then as she pulled the chemo drip out from my other hand, tears started to stream down my face. I was shocked at how sad I was. It felt like a bereavement. Though the chemo side effects aren’t something you particularly look forward to, I appreciated how the pain, just like fasting or lack of sleep, pushes you into a different realm far from the physical world. It makes you explore the confines of your soul and knock on the door of your deepest thoughts. They say that character is built in the soul of adversity, and suffering strengthened my character. I was sad for my chemo chapter to end but just as I was to leave the chemo ward for the last time, a doctor wisely told me that the end of one journey is but the beginning of another. Put on RapidLash Eyelash Enhancing Serum (£41 at Boots) every night when your eyelashes are beginning to grow again. I find putting the product onto my finger tip is an easier way of applying it. At first my eyelashes started to grow a bit twisted and curling outwards instead of upwards, so apply Bourjois Volume Glamour Ultra Curl Mascara every day. It forces them to hold their proper shape, and trains your eyelashes to grow and curl upwards. This mascara is the best for making your eyelashes curl so no wasting time on eyelash curlers. Put on the same RapidLash product on to your eyebrows but also on the skin above to encourage new hairs to grow. As a result, my eyebrows are thicker and start from higher up. Do a DIY eyebrow tint (from Boots) at home to make your eyebrows pop. When your hair first starts to grow back, get a male friend to shave your head with shaving cream and a razor. Do it again after 2 weeks. This will strengthen your hair. If you have are having problems with hair growth, use Roots Hair Treatment by Lush. It’s a hair mask that makes your head feel all lovely and tingly as it stimulates hair growth. Very interesting Eimear, I wondered what it was all about now I know. You look amazing as usual..